Vincent Coutou, 53, leaves the Siparia Magistrate Court after answering to charges of larceny of six bras yesterday. A 53-year-old man who admitted to stealing six bras valued $2,000 to “lay on them and smell them” was jailed for a total of eight years yesterday by a Siparia Magistrate. Vincent Coutou, of Arena Village, Erin. also pleaded guilty to stealing a weed wacker and a brushing cutlass when he appeared before Magistrate Magaret Alert. Coutou, was unrepresented, was also charged with stealing a pressure washer but he pleaded not guilty to that charge. Court prosecutor Sgt Starr Jacobs told the court that on February 2, 2018, the victim washed her Bali bras and hung them on a line outside her house. When she returned to retrieve the clothing several days later, she realised the bras were missing. She made a report to the Erin Police Station and WPC Avelon Monsegue was assigned to investigate. Monsegue went to a bedroom where she found the bras spread across the floor. Coutou was arrested and taken to the Erin Police Station. 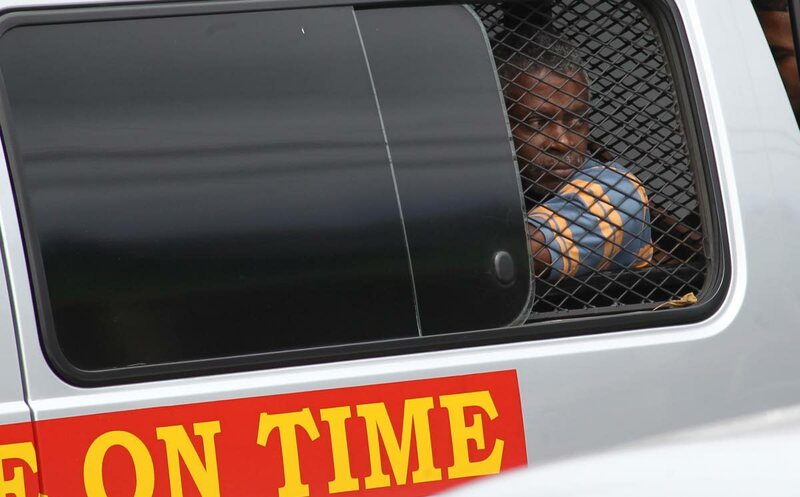 On the charge of stealing the weed wacker and the brushing cutlass, Jacobs told the court that on February 4, the victim of South Oropouche left the items in his garage and went away. On returning, he realised the weed wacker, valued $5,300 and the cutlass, valued $120 were missing. In court yesterday, Alert said Coutou’s court record showed he had been arrested 39 times for larceny, with six convictions in the last ten years. She sentenced him to four years hard labour on each charge. The sentences are to run concurrently so Coutou will only serve four years in jail. She remanded him in custody on the third charge and adjourned that matter to March 8. Reply to "‘I just wanted to smell them’"